Teeth whitening is a minimally invasive and relatively low-cost procedure, making it one of the most popular cosmetic dentistry treatments. 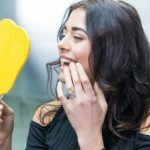 Although teeth whitening does not offer a permanent solution for tooth discoloration, results are essentially immediate and the effects can last for several months if appropriately cared for. When it comes to teeth whitening, most people think of professionally administered in-office whitening treatments. However, there are a wide range of at-home do-it-yourself whitening options available as well. In this feature, we compare these two whitening options, helping you weigh the pros and cons of each. In-office teeth whitening is performed by trained dental professionals providing for safe and reliable bleaching results. The results of professionally administered in-office whitening tend to be better because dentists use higher-concentration bleaching gels. There are a number of popular in-office whiteners including Zoom, Britesmile, Opalescence and Lumibrite whitening. Their mode of application and cost varies from product to product, but the in-office whitening process itself is relatively similar for all of the products. 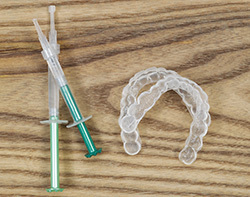 Your dentist will “prep” your teeth to clear away plaque and debris prior to treatment. In addition, a thorough dental exam will be performed to ensure optimal tooth and gum health. Pre-treatment photos may be taken to let you see the before and after changes. To begin treatment, a cheek retractor is used to expose the teeth. A liquid rubber dam or hardening resin is applied to the gum tissue for protection. A hydrogen peroxide bleaching gel is then applied to the teeth where it remains for 15 to 30 minutes. The gel is then cleaned off and reapplied for one or more additional periods of 15 to 30 minutes. Certain whitening treatments (like Zoom) incorporate a high-intensity light to help activate/enhance the bleaching process. Results will be visible immediately, though the full effect of treatment will not be seen for a couple days. 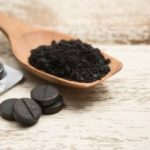 Your dentist will discuss ways to maximize the whitening effect by suggesting you avoid certain foods that can cause discoloration. You may also receive a take-home whitening kit or pen to help maintain your whitened smile. 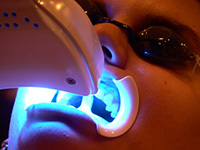 At-home teeth whitening is a do-it-yourself alternative to professional teeth whitening. At-home whitening typically costs less than professional solutions and also offers the convenience of doing it yourself rather than scheduling an appointment with a dentist. That said, at-home whitening products have lower concentrations of hydrogen peroxide, meaning they may not offer the same degree of shade changes that you get from professional whiteners. Products like brush-on whiteners, strips or trays can be purchased online, at pharmacies and grocery stores, etc. Higher-concentration at-home whiteners can be purchased through your dentist. You may be surprised to learn that some dentists believe that in-office whitening results can be achieved at home with these dentist-dispensed kits. The reasoning for this is that correct, ongoing use helps intensify the bleaching effect, meaning that multiple applications over time can result in greater shade change. The mode of application varies significantly depending on the type of product used. However, it is recommended that the best time to begin an at-home whitening regimen is after a professional dental cleaning. This can help you achieve the best results. It is possible to overdo it when it comes to tooth bleaching, even with lower concentration at-home products. Follow the instructions carefully to ensure you don’t cause yourself more harm than good. In-office whitening candidacy is fairly wide open for people with healthy teeth and gums. During your consultation, your dentist will conduct a thorough oral health examination. If you have any underlying conditions such as tooth decay or gum disease, the concentrated bleaching gel could cause you significant pain. Any such oral health conditions must first be addressed before your dentist will perform in-office whitening. Additionally, it should be noted that not all discoloration can be treated with in-office teeth whitening. Deep, “intrinsic” stains may not be as effectively treated with whitening. Depending on the desired results, a more significant cosmetic treatment such as dental veneers may need to be considered in such cases. At-home whitening candidacy is even more wide open than in-office whitening candidacy because there are no restrictions. Anyone can purchase over-the-counter whitening products and self-administer. 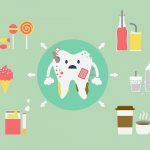 However, keep in mind that if you suffer from oral health issues, you may end up causing yourself serious pain and damaging your teeth and gums. Dentist dispensed home whiteners will not be provided to anyone that does not first pass a basic oral health screening. For the best results, any home whitening should be administered after a thorough prophylactic in-office dental cleaning. As with any dental procedure, the cost of whitening can fluctuate considerably depending on the type of whitening, the specifics involved with your treatment and where it is performed. Dental insurance offers no coverage for the cosmetic procedure, meaning you are responsible for 100 percent of the cost. The average cost of in-office teeth whitening is approximately $650 per visit. The average cost of at-home whitening using professional dentist-dispensed kits ranges from $100 to $400. The average cost of at-home whitening using over-the-counter whitening products ranges from $20 to $100. If you are interested in teeth whitening, consider speaking with your dentist about the options at your disposal. This can help you determine whether an in-office or at-home solution better suited to your needs.